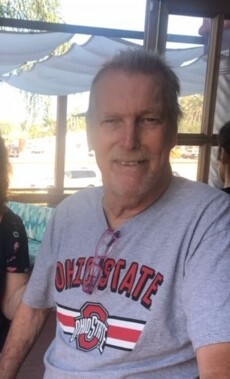 Brian Hartley Warren, 73, of Phoenix, AZ passed away on November 28, 2018 at Hospice of the Valley-Dobson Home in Chandler, AZ. He was born on February 8, 1945 the son of Charles and Edna (Strand) Warren in Winnipeg, Manitoba, Canada. He was an avid golfer and worked as a Traffic Signal Engineer for the City of Phoenix. He had lived in Arizona since 1975. He is survived by his wife of 41 years, Mary Ann (Deady) Warren, three brothers, Dale, Mark, and Kevin; four daughters, Marlee, Dana, Melanie, and Margaret; two sons, Brian Jr and Michael; 8 grandchildren, and two great-grandchildren. He was preceded in death by his parents and one brother, Guy. No formal services are planned as the family is honoring Brian's wish for cremation. Special thanks to the staff at Hospice of the Valley for their exceptional care. He will be fondly remembered and missed, may he rest in peace. The family would like to thank all of the doctors and nurses for their care and concern for Brian in his final days. Richardson Funeral Home, Tempe, Arizona is compassionately serving the family.